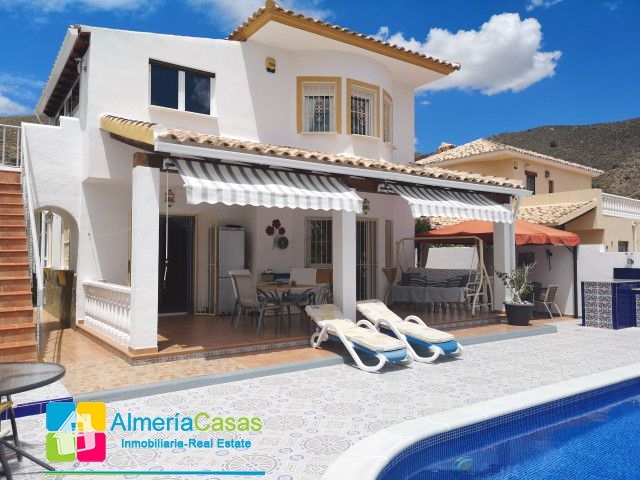 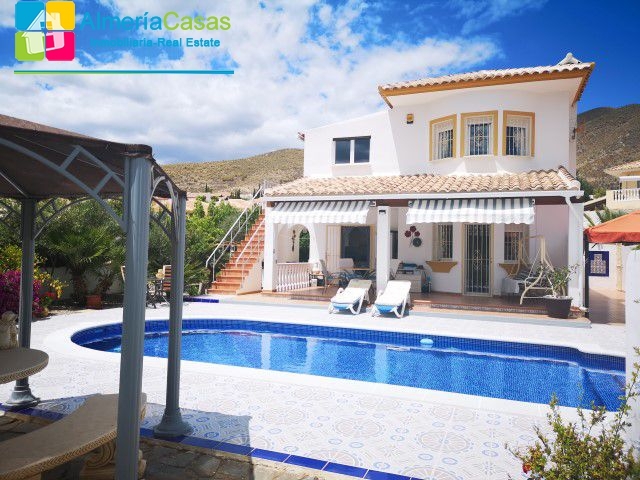 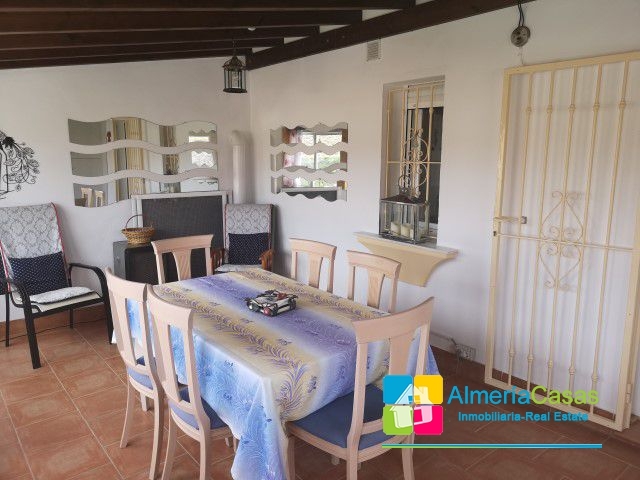 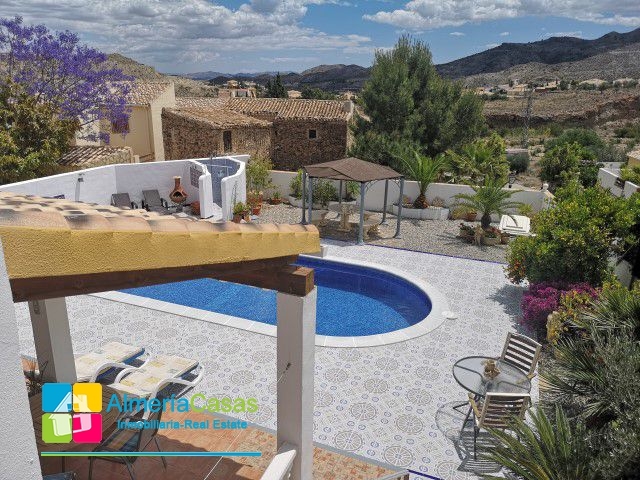 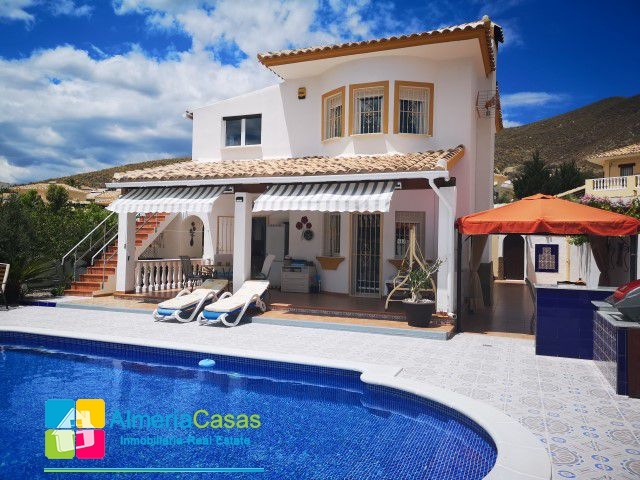 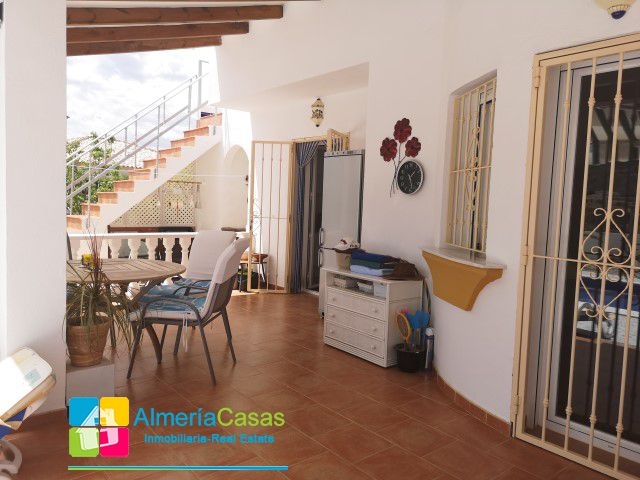 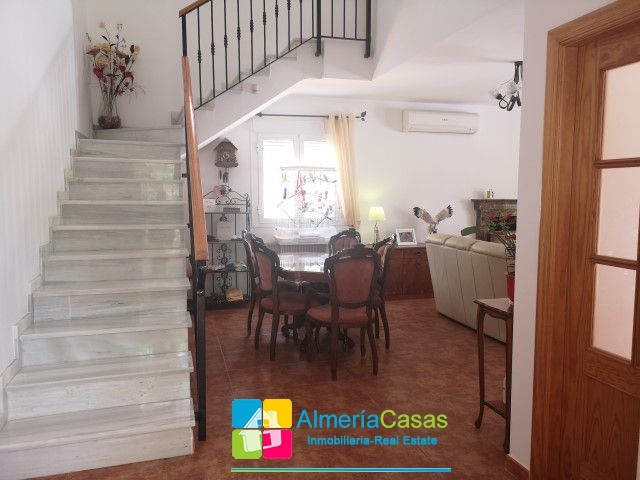 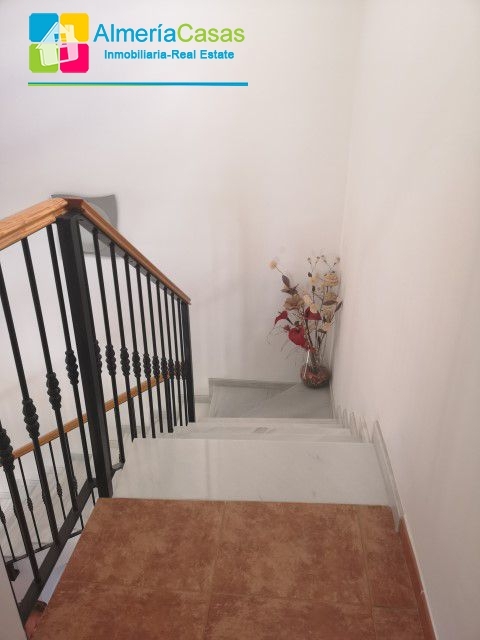 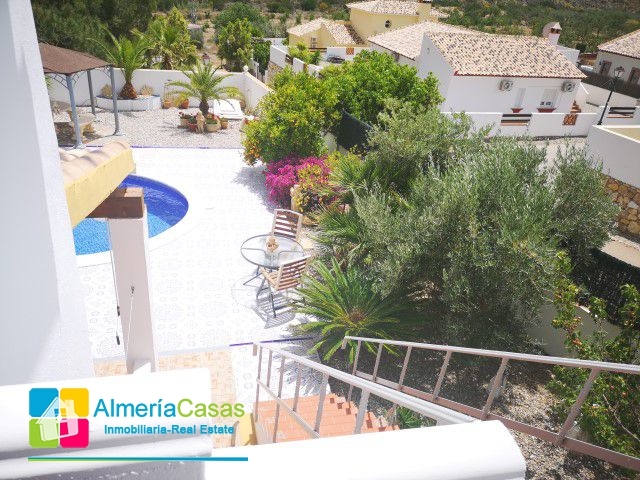 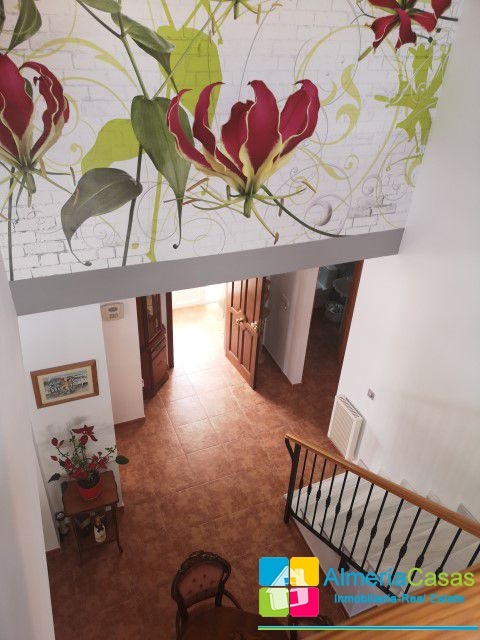 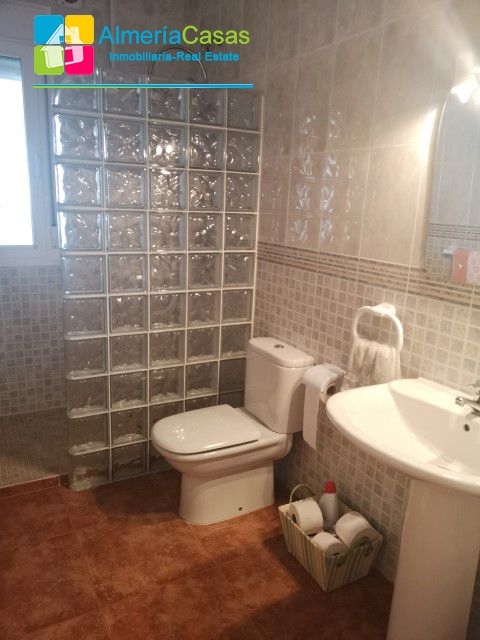 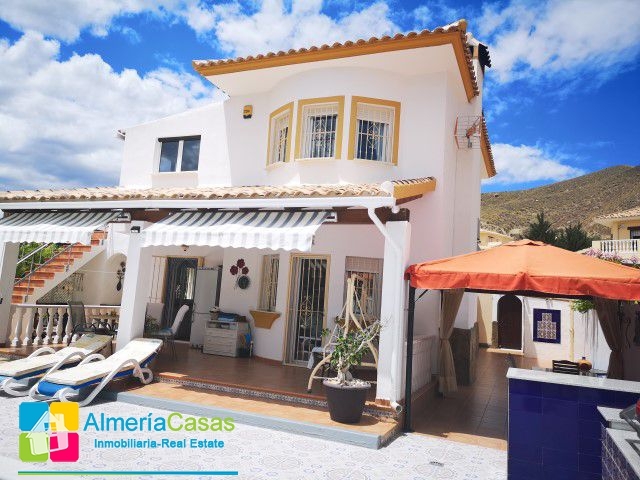 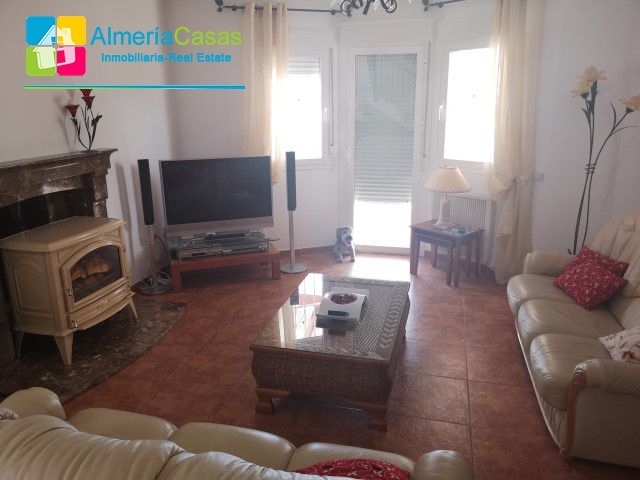 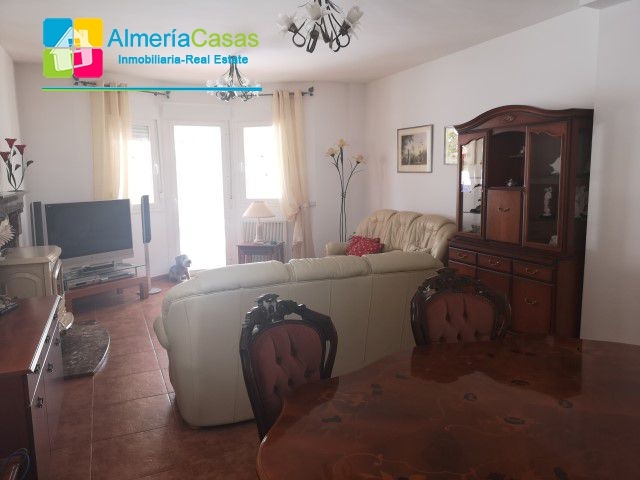 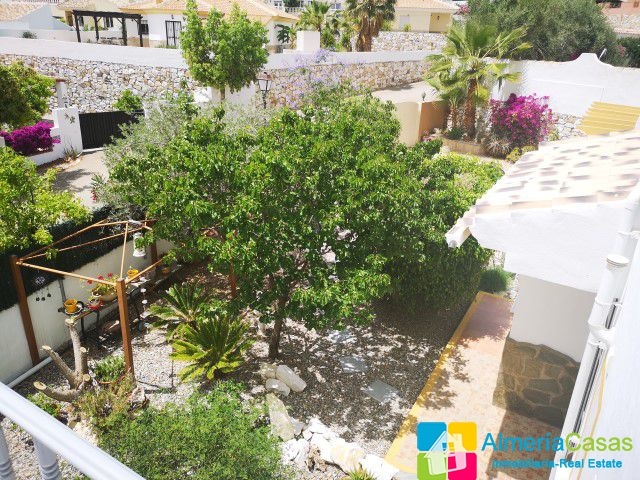 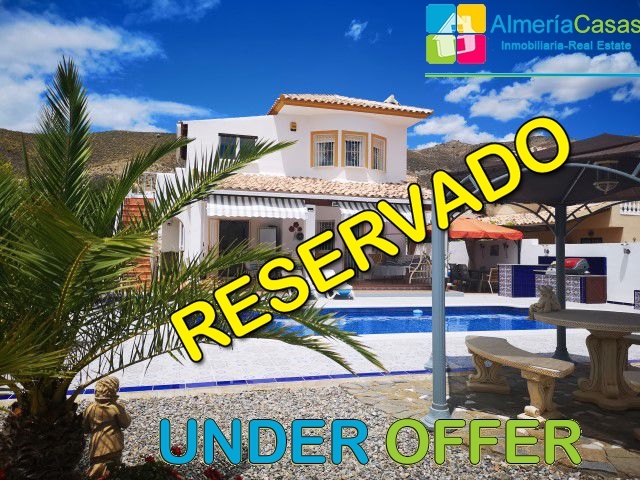 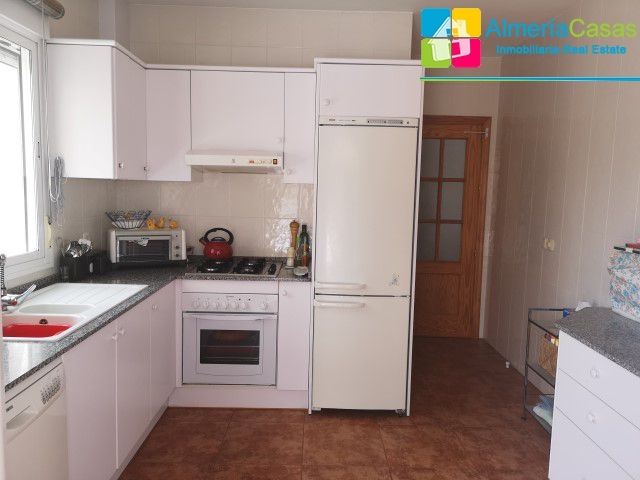 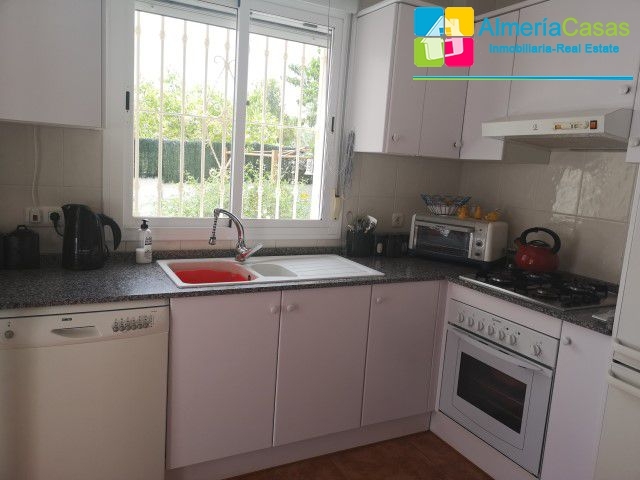 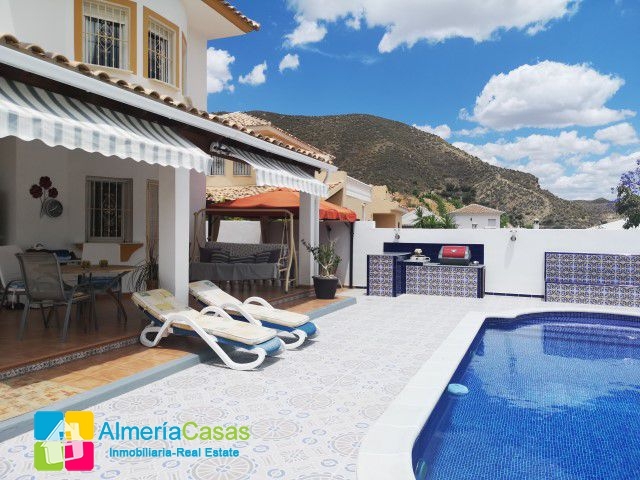 Top spec two storey villa with 3 bedrooms, 2 bathrooms, car port, swimming pool, bbq area, conservatory and stunning views all around located in Arboleas. 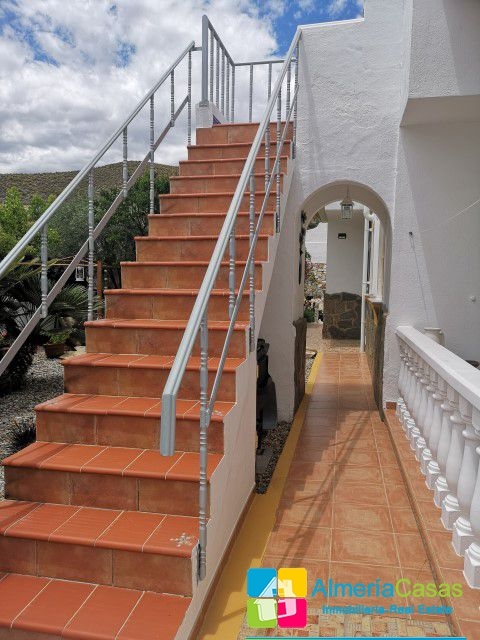 The access to this property is great! 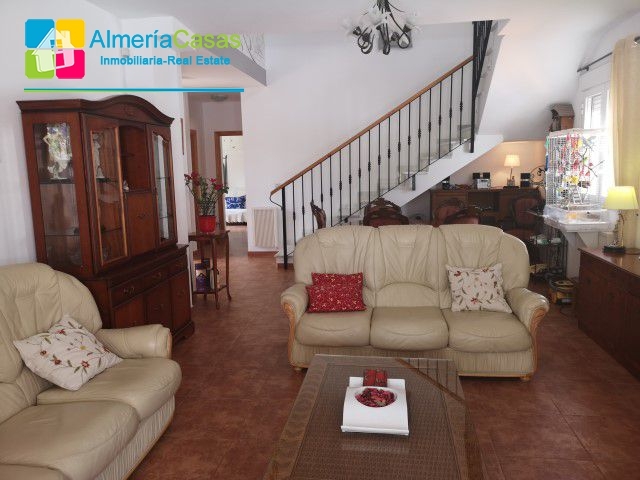 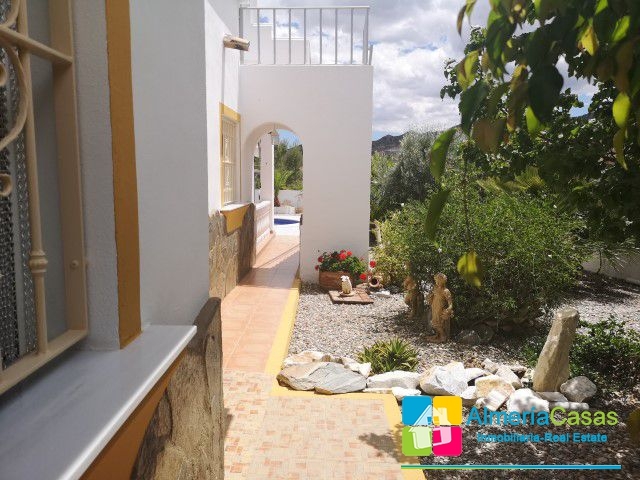 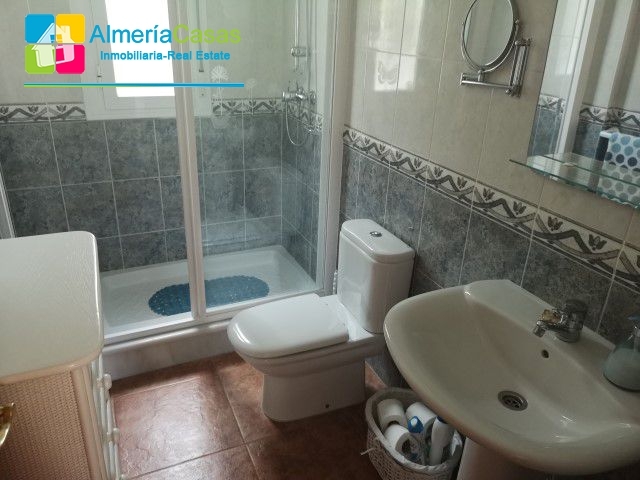 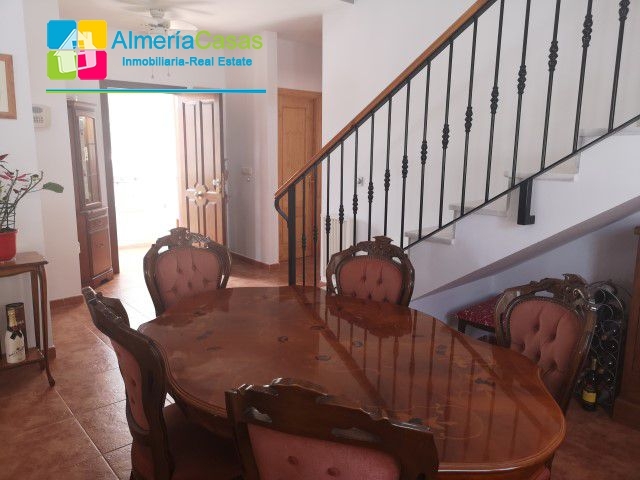 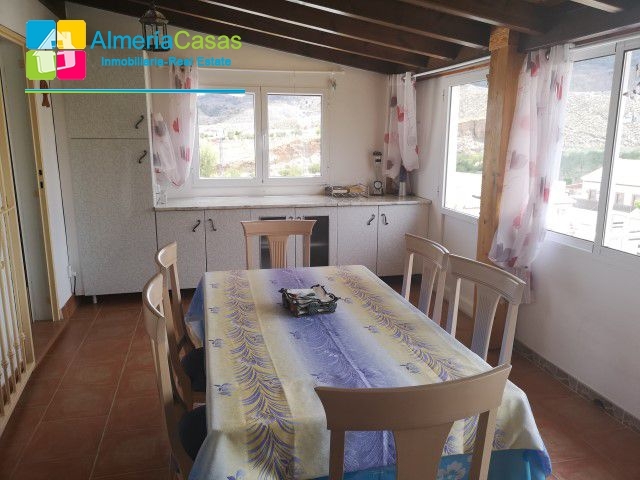 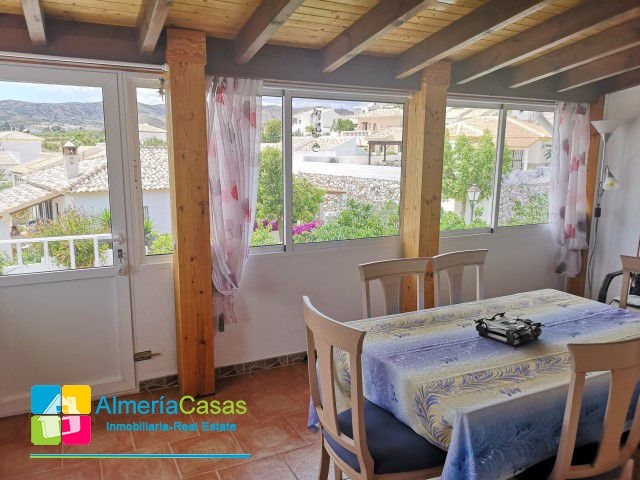 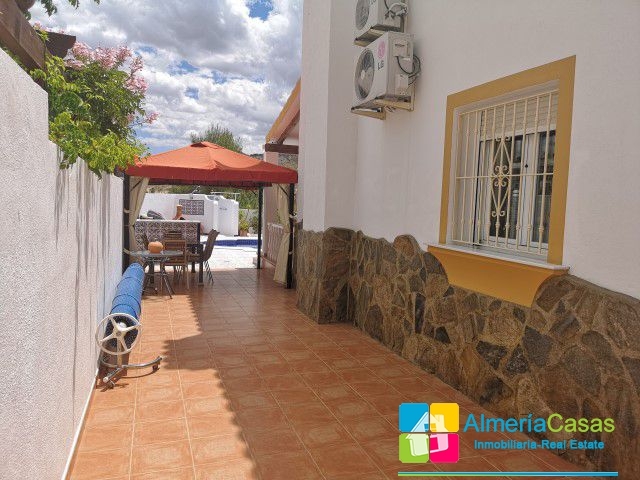 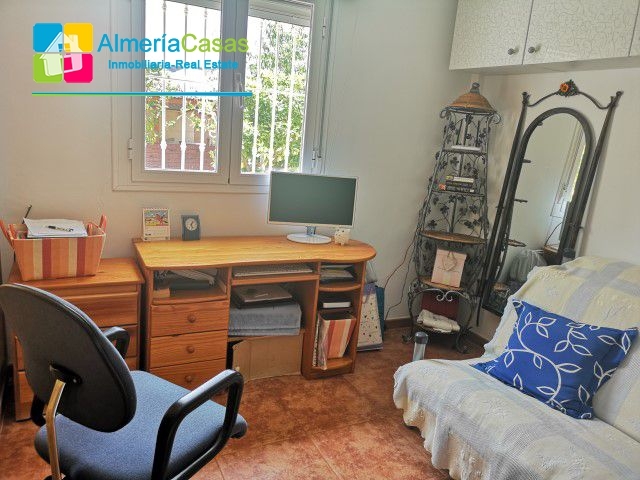 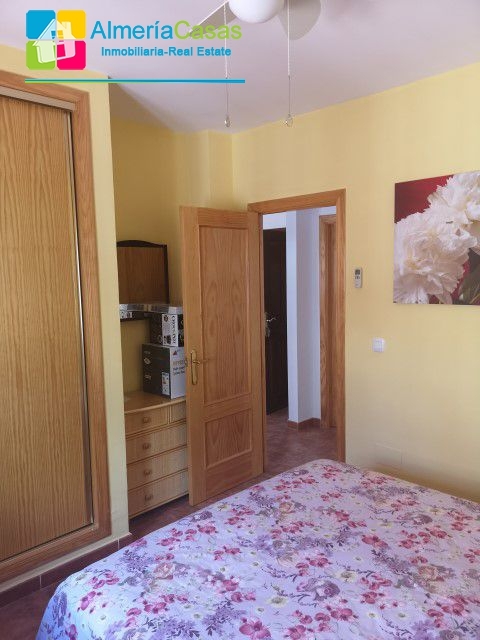 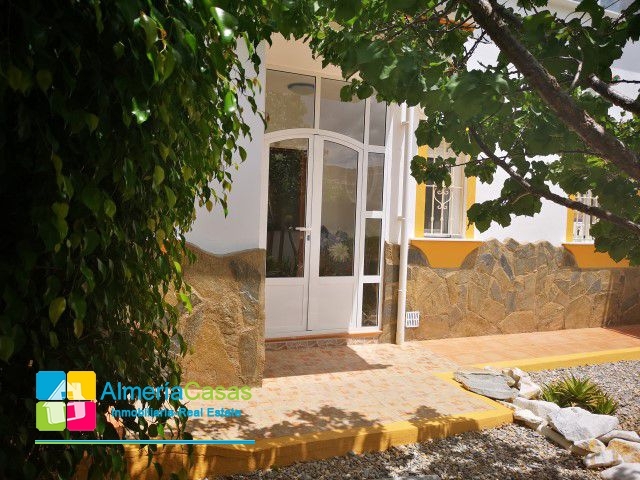 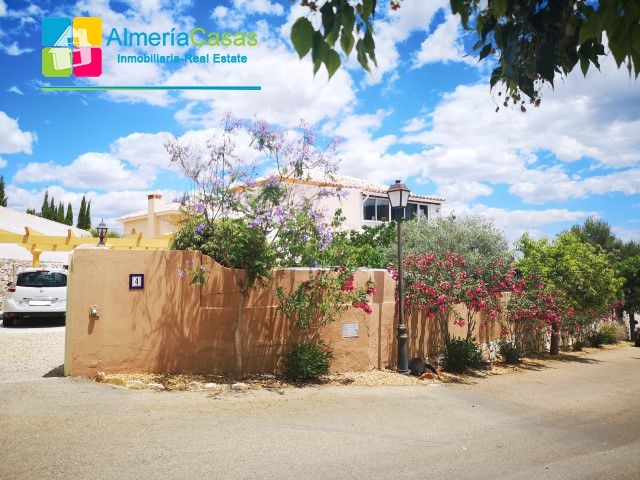 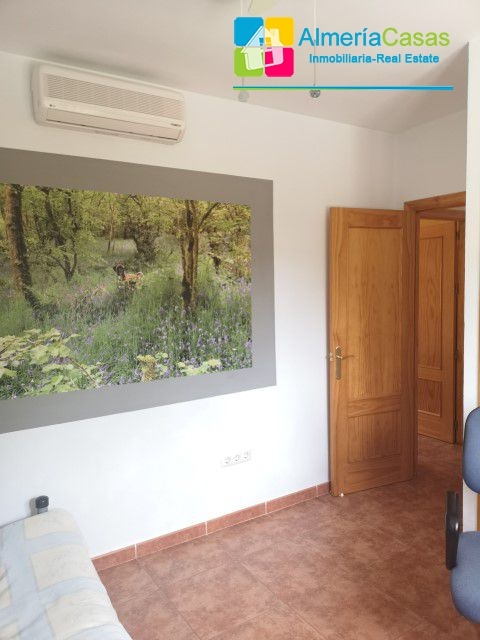 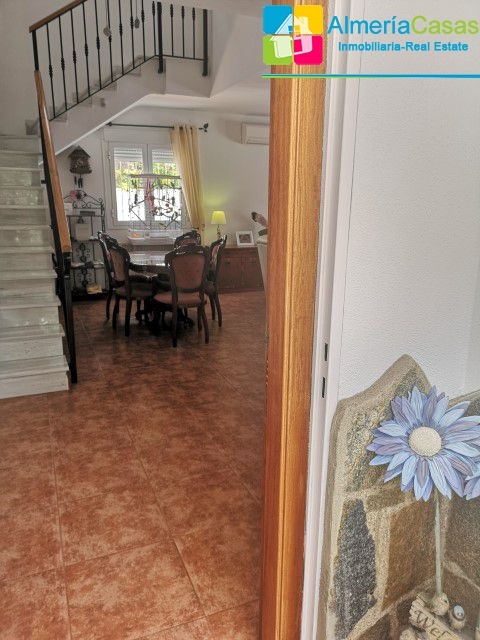 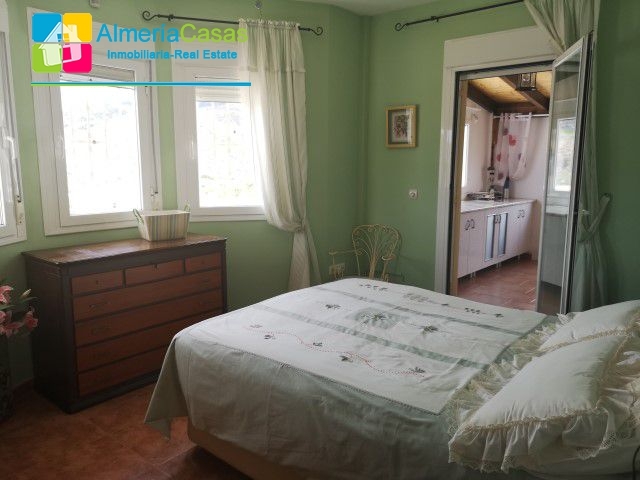 The village of Arboleas is just a 7 minute drive away where you can find all amenities and the larger market town of Albox is just 15 minutes away. 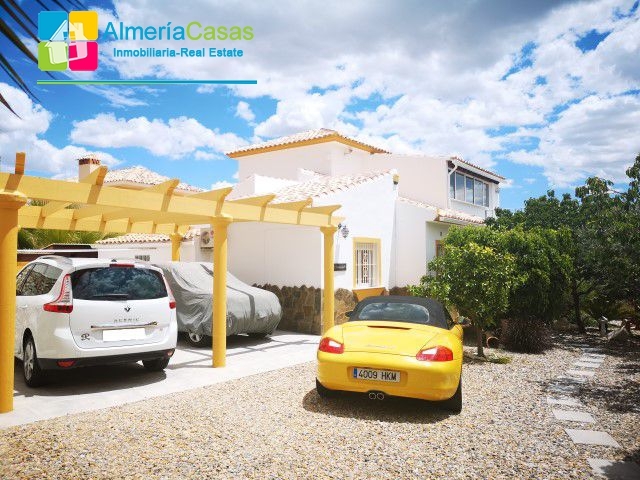 This property is completely walled with large entrance gates opening onto the drive way where there is a car port for two cars and there is parking space for up to 4! 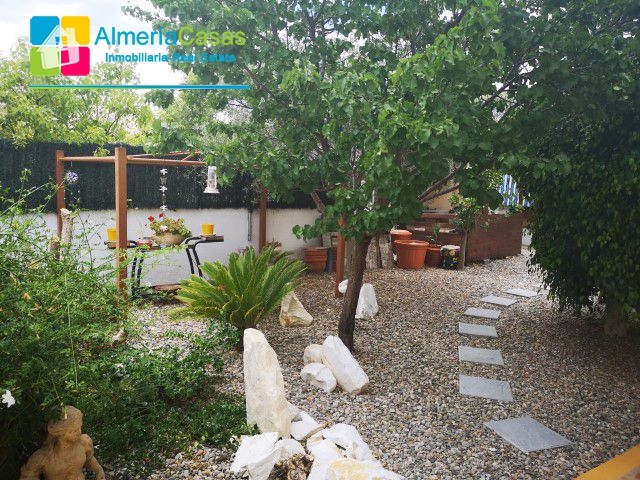 The drive way, terraces and garden are beautifully kept with many mature trees, plants and shrubs all around and has been designed for easy maintenance. 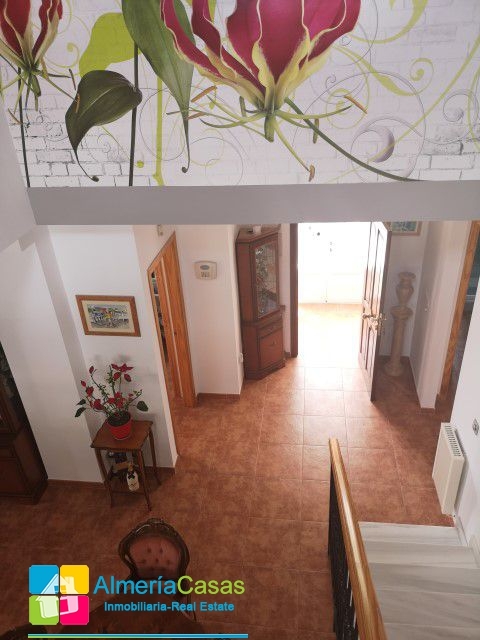 Through the main entrance there is a bright porch with leads into a very impressive entrance hall. 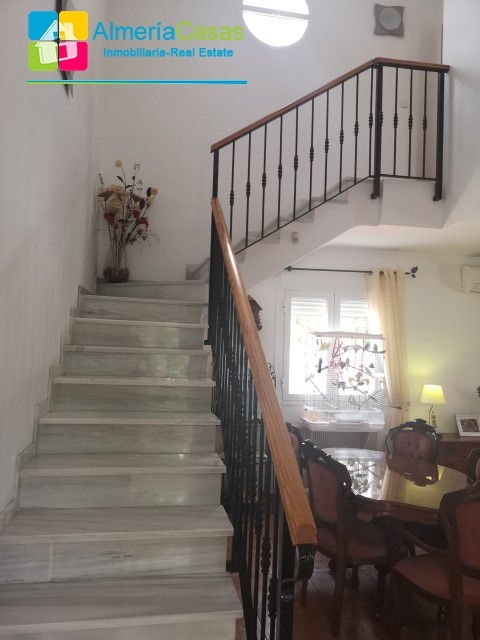 Directly in front is a beautiful marble stair case and the spacious lounge diner which benefits from hot and cold air conditioning, a large log burning stove and a door leading out to the covered terrace overlooking the pool area. 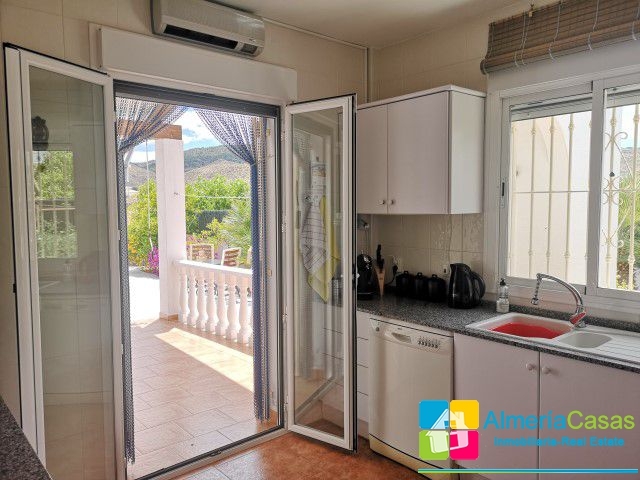 To the right of the hall way is the fully fitted kitchen with a very useful separate utility room and double doors out to the terrace. 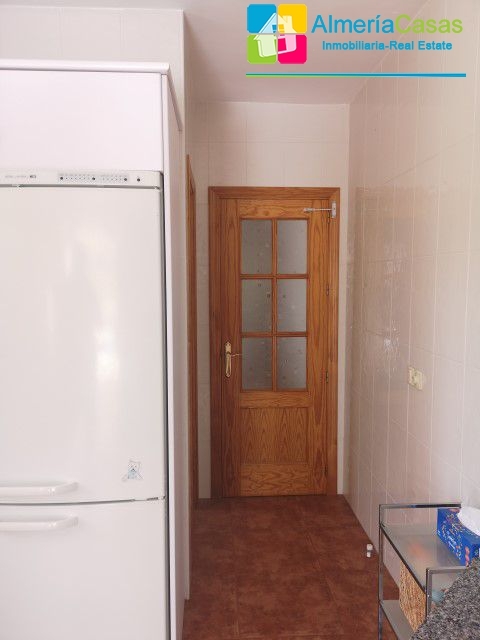 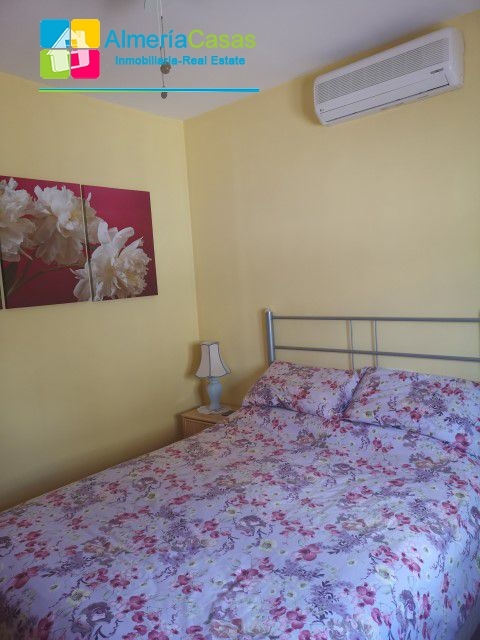 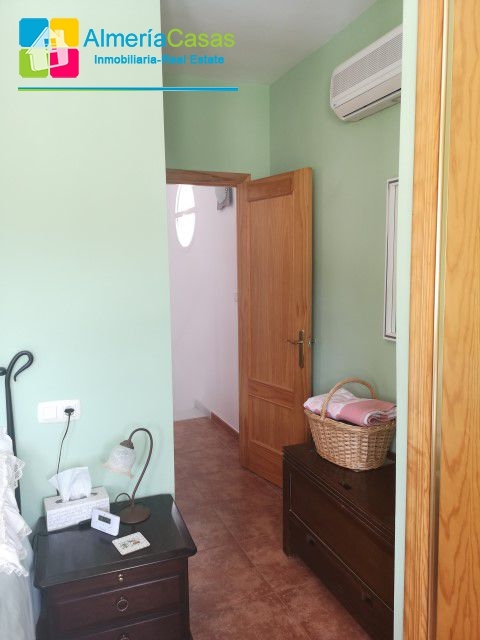 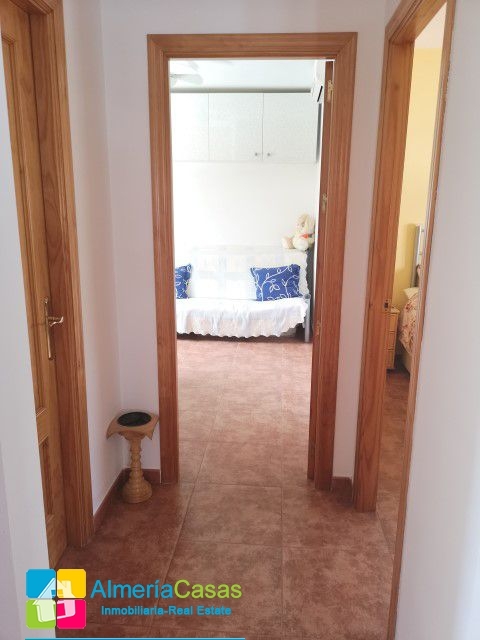 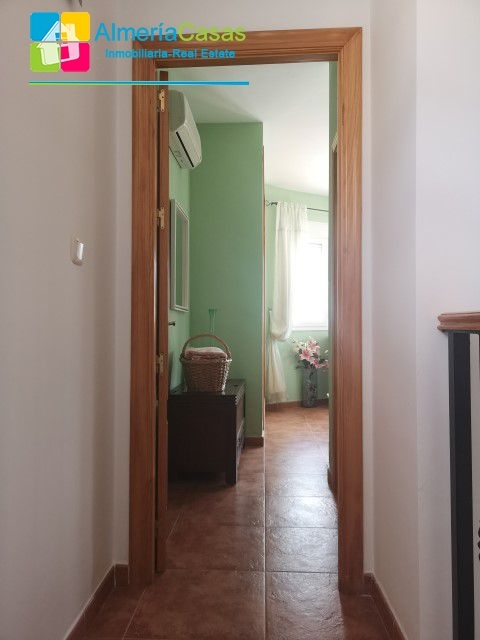 To the left of the hall is the modern family shower room and 2 double bedrooms both very bright and airy with built in wardrobes, ceiling fans and air conditioning. 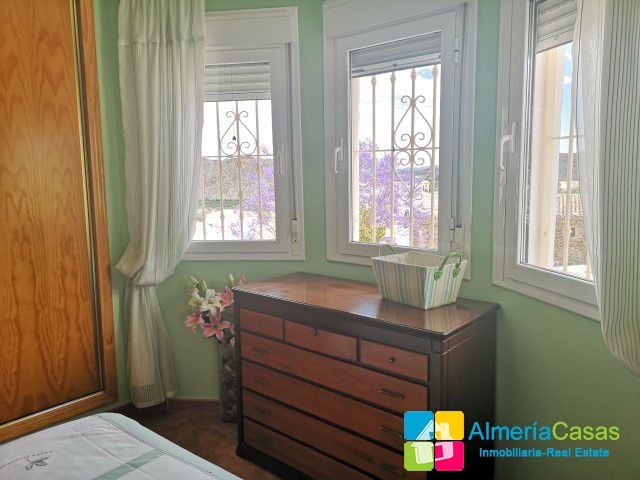 Upstairs is the master suite; a large bedrooms with big built in wardrobes, ceiling fans, air conditioning and stunning views! 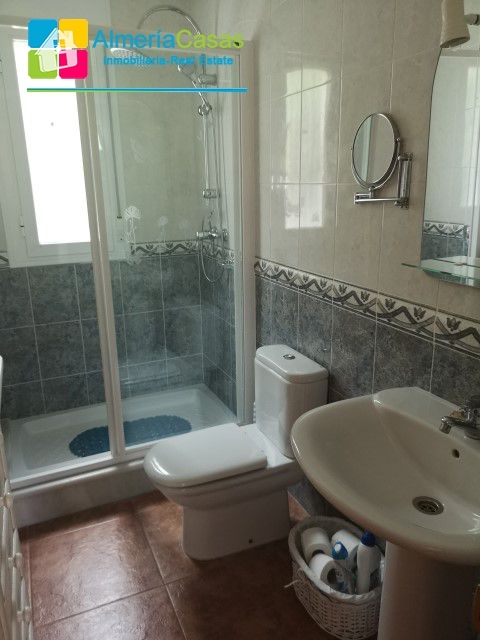 There is an en suite shower room with a wall heater. 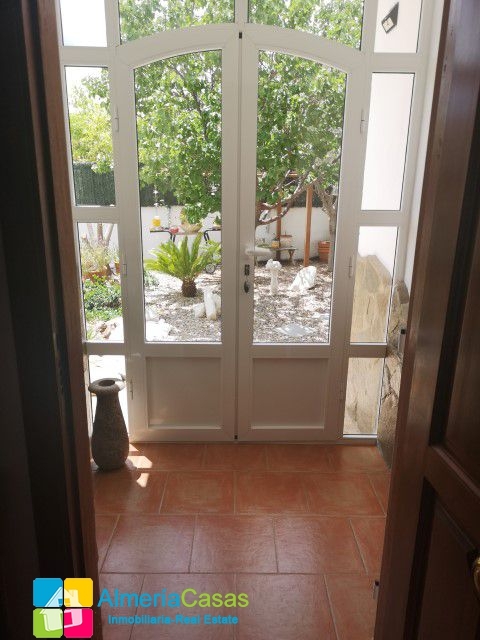 Also from the master bedroom is a door which leads to the beautiful glazed conservatory with spectacular views all around. 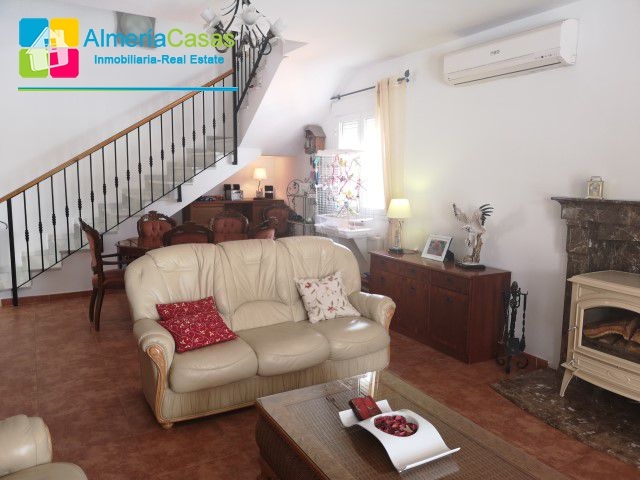 This is a fantastic room for entertaining and can be used as a dining area, office, reading room etc. 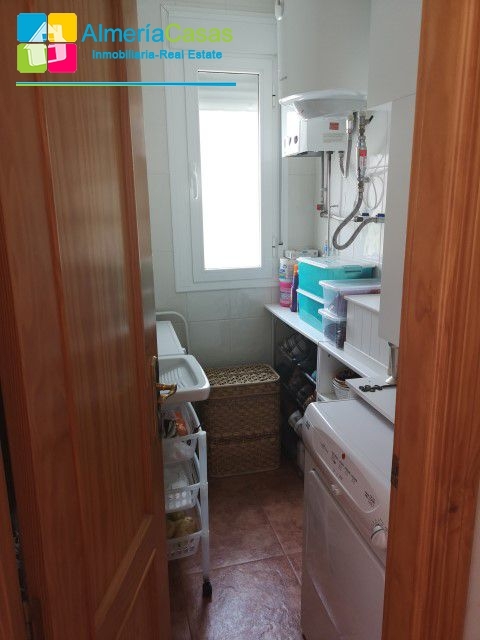 It has many possibilities! 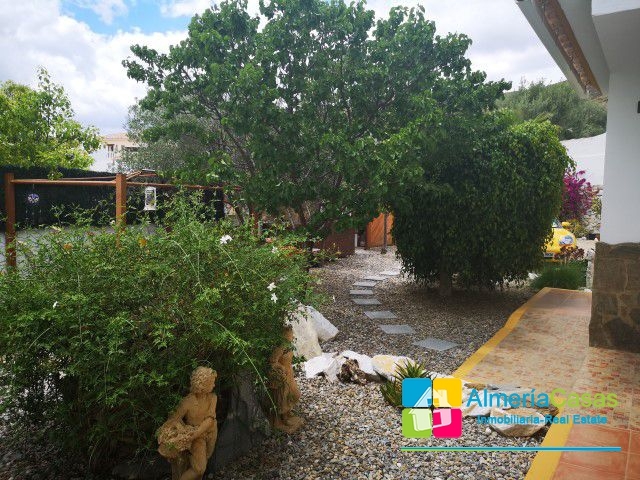 Outside a pathway all around the property. 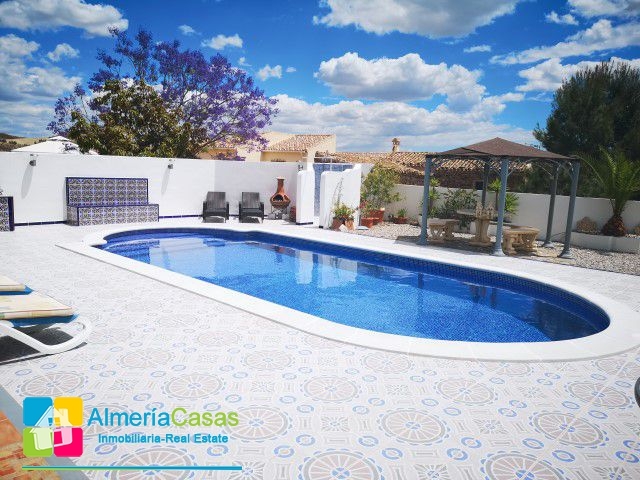 To the side is the totally refurbished 8 x 4m swimming pool which is surrounded by an extended terracing. 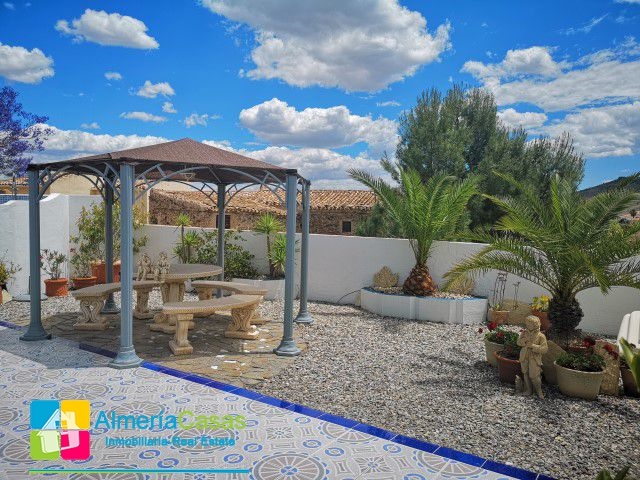 Surrounding the pool area there are many places to sit and enjoy the garden and views and there is also an outdoor shower, BBQ area, bench seating and a gazebo covered dining area. 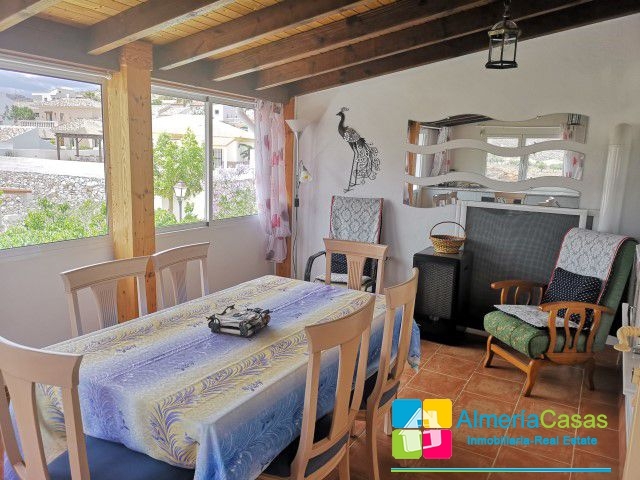 There is a fantastic long covered terrace with wooden ceiling beams and 2 sun awnings to give shade for outdoor dining. 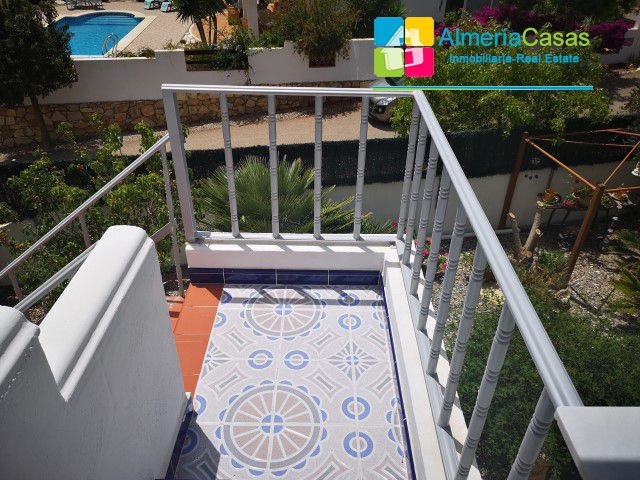 This terrace is accessed via the kitchen & lounge so an ideal entertaining space. 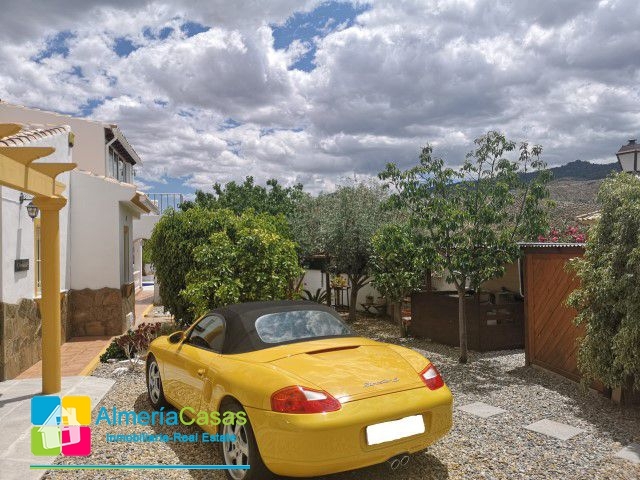 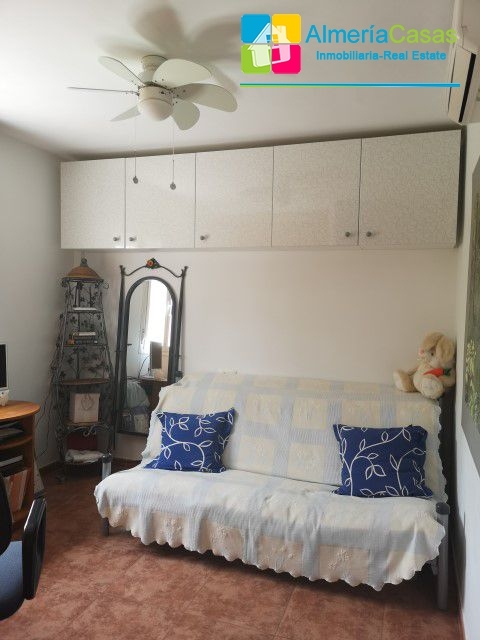 To the rear of the property there are two casitas and a garden shed, very handy for storage! 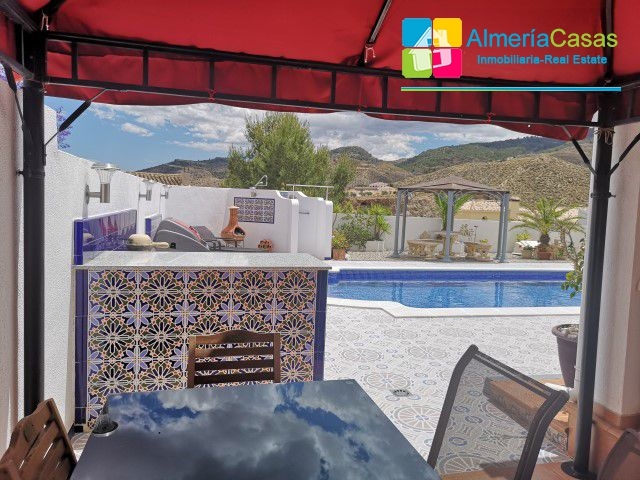 There are many extras such as: a water softener system and back-up deposit tank, spacious storage, irrigation system, electric wall heaters, fly screens, security rejas and much more! 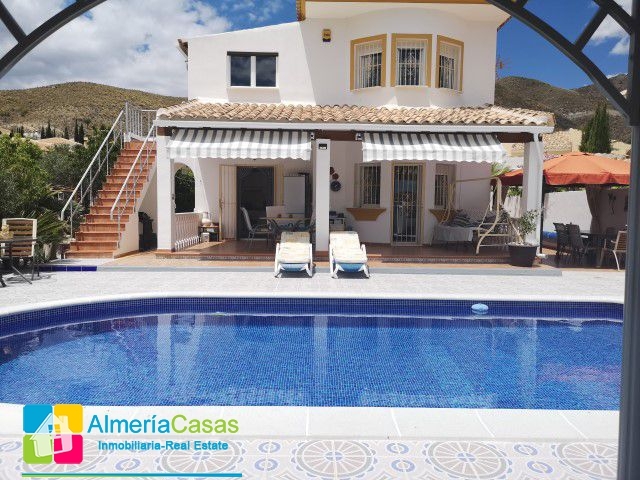 This is an immaculate property and definitely worth adding to your viewing list!